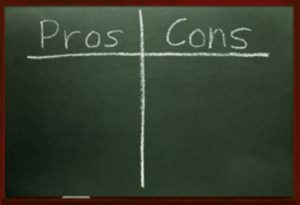 What are the pros and cons of the various educational opportunities available to us? Let’s find out! -Transportation to and from school is “free”. -Your children have access to school sanction sports, activities and clubs. -“Free”- isn’t free, it is paid for with tax payer dollars… And when it comes to “free” remember, you get what you pay for…. -Common Core is mandatory and soon Next Generation Science Standards will be. Click here to learn more about Common Core and here to learn more about Next Generation Science Standards. -Testing. At a minimum, the average student in the public schools will take 5 high-stakes assessments a year. This means the focus on chapter quizzes and unit tests are being overshadowed by the “need” for teachers to prepare children for the assessments (read: teach-to-the-test). -Teacher evaluations because of the strings attached to Common Core (Read: $$MONEY$$), are tied to test scores, meaning the pressure is on the teachers to make sure all students do well on the assessments. -Public education forces all children into a one-size-fits-all box. -Parents should make that decision not the school. You, as the parent know your child best and are capable of knowing whether or not they should be in school when they are ill or not feeling well. -This is about money, not the child’s education, a child who doesn’t not feel well is not going to benefit educationally from sitting behind a desk all day while not feeling well. -Parents should be able to take their children on a family vacation when they have the opportunity. Many educational opportunities present themselves on family vacations. -Again, the emphasis on attendance is not for your child’s benefit, it is about funding. -Bottom line Public School may be “Free”, but it is all about the money. -Charter Schools and Virtual Public Schools offer an opportunity to have a little more individualized education. -Again, “Free” isn’t “Free”, Charter Schools and Virtual schools are paid for with tax payer dollars, and again, when it comes to “free” remember, you get what you pay for…. -Charter schools and Public Virtual Schools may have to align with the Common Core Standards, and are subjected to the same barrage of assessments that the public schools are. -Parents are generally more involved, and are required to volunteer a set amount of hours each month, quarter, or semester. -Parent involvement in their child’s education tends to yield more positive results. -The classroom sizes are generally smaller, allowing for opportunities for a more individualized education. -Private schools do not have to implement the Common Core or Next Generation Science Standards*. -Many Private Schools offer scholarships for families that cannot afford the full price of tuition. -Religious schools offer the opportunity for your values and beliefs to be incorporated into the curriculum. -Cost, at over $200/month for one child (some schools do offer discounts for sub sequential children, for example, the tuition of one private school we -looked at has monthly tuition broken down as: $285 for the first child, $205/month for the second child, $145/month for the third child, and $55/month for the fourth child. That means a family with 2 children would be paying $490/month, a family with 3 children would be paying $635/month and a family with 4 children would be paying $690/ month) As I mentioned above in the “pros” some private schools offer scholarships, however, it is not a guarantee that the entirety of your child’s tuition would be covered. -Some private schools have decided to implement the Common Core and Next Generation Science Standards. -Some private schools accept federal and/or state funding, and must adhere to certain guidelines, including participation in high stakes assessments. The government never offers “free” money, all government money always comes with strings. -In the “pros” I mentioned that your values and beliefs could be taught within the curriculum. With religious schools, there can be doctrinal issues that are not in alignment with your beliefs concerning certain doctrine (mainly essentials) that are taught to the children. 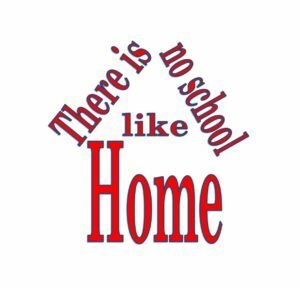 Be sure to check out our homeschool resource page if you are considering or would like to learn more about homeschooling. -You get to spend each day with your children. You get to watch them learn and grow. You get to watch them struggle and watch them overcome those struggles. -You can fully customize each child’s education based on their interests, abilities, likes and dislikes. -You can move at each child’s individual pace, you can move as fast or slow as your child needs to move through their curriculum. -You do not have to implement the Common Core Standards or Next Generation Science Standards into your homeschool [at this time]. -You do not have to subject your children to high stakes assessments [at this time]. -You can see what works and what doesn’t work for each of your children, and try something different when you see something isn’t quite the right fit. -Homeschooling allows for an out-of-the-box education. -You can focus on instilling a life-long love of reading and learning, as well as the ability for a child to be self directed in their learning. Homeschooled children tend to learn how to learn, not just memorize what they need to know to pass a test. -There are many curricula, methods, and styles to choose from, and you can decide which are best for your homeschool, your family, and even each child. -You can take a family vacation at any time during the year without fear of being prosecuted for educational neglect. -Your children can still participate in school sanctioned sports and activities, and can even participate in dual enrollment. (Some homeschool classes, some public school classes) in MOST school districts. -Your homeschool does not have to be a gun free zone. -Homeschooling allows parents to spend more quality time together, especially for military families, families where one or both parents: work in the oil field, a mine, drive over-the-road, or have another job that keeps them away from home for extended periods of time. Time that if a child attended public school wouldn’t be spent as a family. Religious freedom. No matter your religious views, homeschooling allows you to teach your children according to your beliefs. -You are the main influence in your child’s day to day life, not a teacher. *Not a con, but pertaining to a single income family, I personally know 2 single mothers who homeschool and work. It is not easy, but they have found a way to do it. -Your home will be very much lived in. -Everybody will quiz your children to make sure they are learning and try to measure them up to children attending public schools. -Your family and friends may not be very supportive, in fact they may be the exact opposite of supportive. -Your friends and family –though they may mean well- will say some very hurtful things concerning your decision to homeschool. I support your freedom to choose the education that is best for your child. And while I encourage you to “starve the beast” by pulling your children out of public schools if you feel the public school system is failing, I still support your right as parents to make the decision that is best for your child. Be sure to check out our homeschool resource page if you are considering homeschooling.